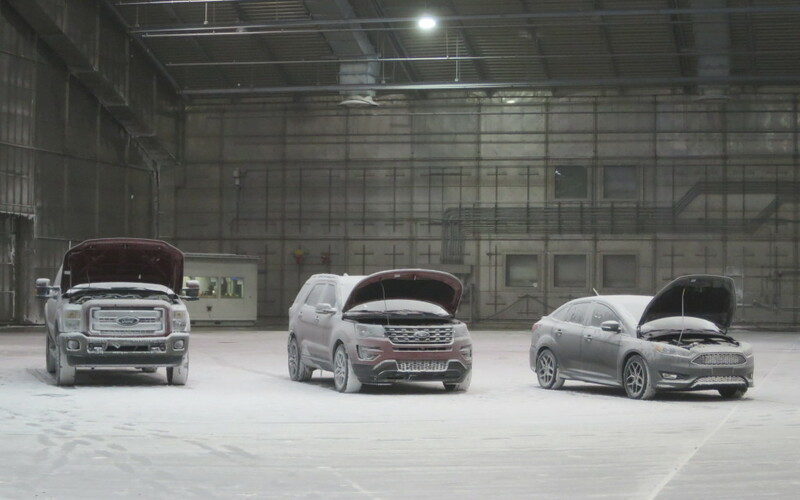 BEHIND THE SCENES: Cold testing with Ford... in Florida! 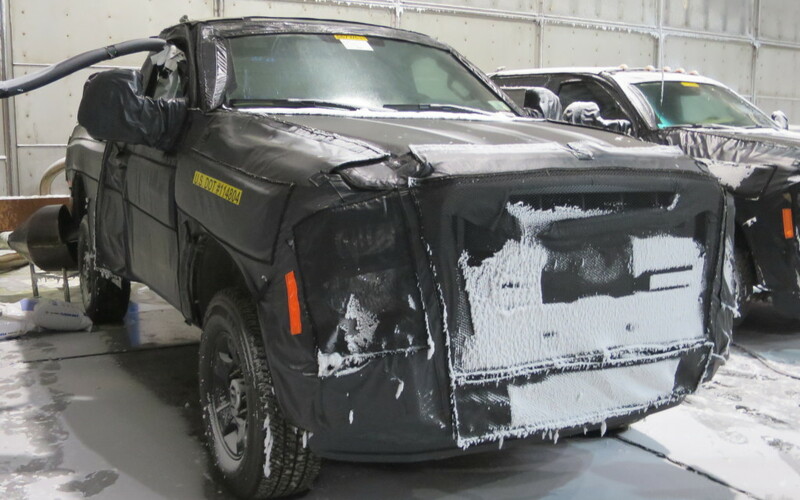 FORT WALTON BEACH, Fla. – So I’m assigned to do an article on the Ford Motor Company’s cold-weather testing program. Cool, I say. Perhaps the visit will be in mid-winter at some remote northern location. Yellowknife, NWT, Thompson, Manitoba and Kapuskasing, Ontario are all well-known winter test sites, as are Arjeplog in Sweden and Rovaniemi, Finland. Which might it be? Then I’m told it’s in August, in Florida. Really? What at first seems like the ultimate oxymoron indeed makes sense. 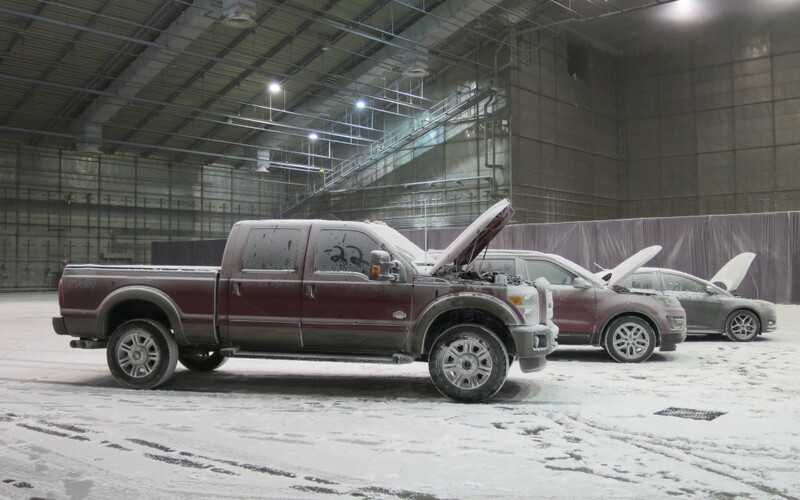 Ford, among several automakers, tire companies and other civilian clients, uses the gigantic McKinley Climatic Laboratory located at Elgin Air Force base in the Florida panhandle to conduct cold-weather evaluations of its products any time of the year. 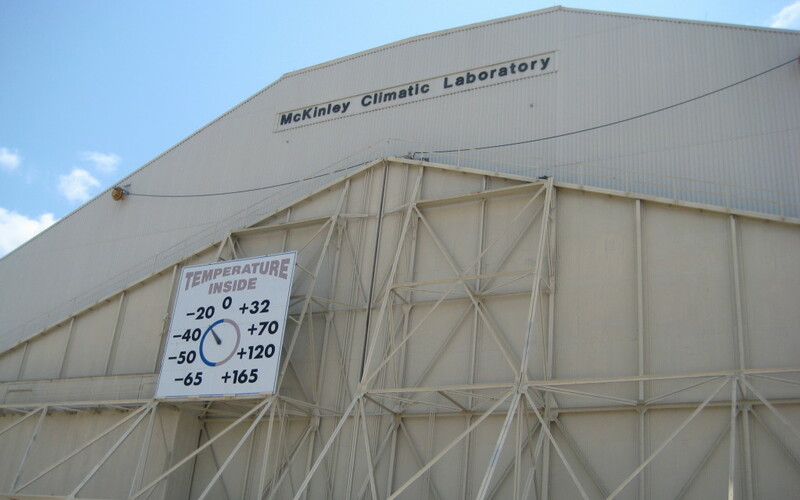 The controlled environment of the cavernous McKinley lab, with its huge volume of 3.25-million square feet, can replicate almost every type of weather condition found on this planet. 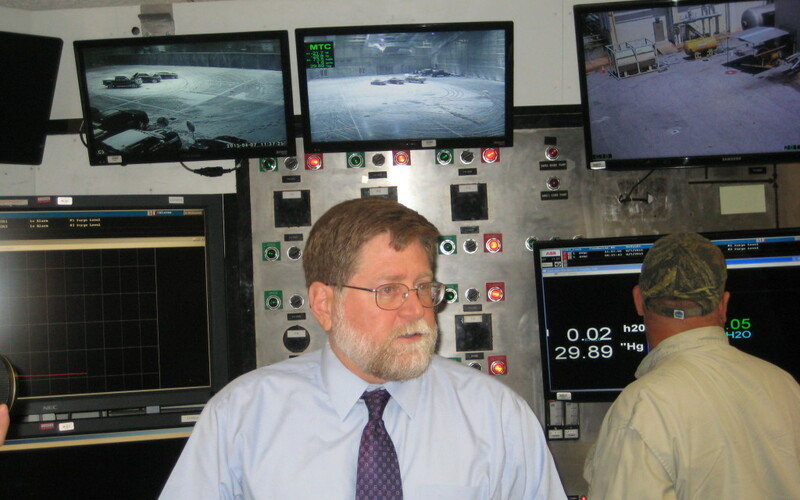 Bell says the temperature inside the main chamber (there are five other, smaller chambers within the facility) can be dropped from ambient temperature outdoors to sub-zero in about eight hours – and a swing to virtually any temperature can be accomplished overnight. In addition to controlling the temperature, Bell says the facility can also create rain, freezing rain, wind, fog, salt fog, sand and dust storms, solar radiation, all with controlled humidity. “We can’t do lightning and we can’t create tornadoes, but I can give you a hurricane,” quips the 25-year McKinley veteran. The facility, developed by the U.S. military to test aircraft and other equipment in extreme conditions, opened in 1947. It can easily accommodate large aircraft, such as a 707 jetliner or Hercules cargo plane, as well as numerous tanks and other armoured military vehicles. 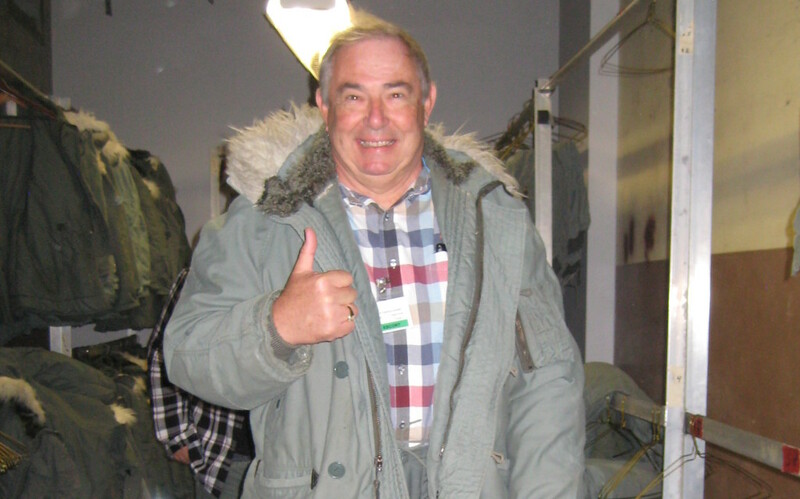 It has even been the site for cold-weather training exercises for military personnel. In 1997, the lab was refurbished and made available to non-military clients. It is now in use 24 hours a day, 365 days a year and booked solid until 2020. The staff of 55 persons oversees about 30 tests a year. The bookings are split about 50-50 between military and commercial users, although last year an extensive testing program for the new F-35 fighter jet consumed about six months of lab availability. Ford has been using the facility for several years and has sessions booked for at least the next three years. The size of the chamber allows Ford’s engineers to test numerous vehicles at once in a consistent, controlled environment. The day of our media tour it was a steamy 96 degrees F (35.5 C) outside in the Florida sun, but after suiting up in parkas and other winter garb, we went into the frigid chamber, which at that time was minus 22 F (-30 C). 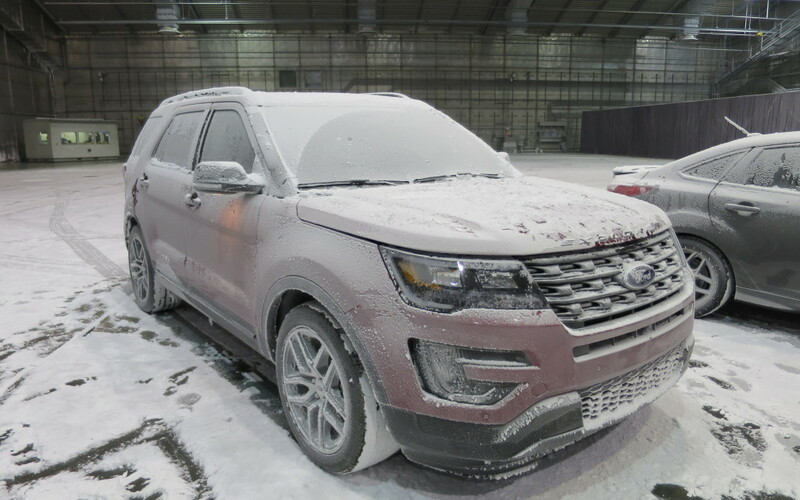 During the three weeks Ford is using the facility, it will be conducting tests in a range of temperatures from 20 F (-6 C) to minus 40 F (-40 C). Its engineers are evaluating the company’s entire 2017 lineup, including electrics and hybrids, plus some 2018 prototypes (74 vehicles in total.) A total of 54 engineers from Ford’s operations around the globe will cycle through the session in the climatic lab. In addition to the obvious – testing cold-weather starts – Shimon’s team was evaluating fuel volatility in cold-weather conditions. He said the engineers have identified 13 different gasoline fuel types globally and his assignment was to evaluate how each type of fuel performs in extreme cold conditions. He explained the variances were less about octane levels than the blends of ingredients within the gasoline. The goal is to discover and fix any issues that may arise in these extreme conditions to ensure the vehicles meet all requirements, regardless of where they will be used in the world. During testing within the chamber, the engineers can manipulate the powertrain software and make any hardware adjustments to achieve the optimum calibrations. The session in the McKinley lab doesn’t replace real-world testing, however. Shimon said in the weeks prior to the session here, his team had been doing similar evaluations and calibrations at the other end of the temperature scale – in hot, desert conditions. In addition, Ford has four climatic chambers of its own at its Dearborn, Michigan, facilities where development work is done. It’s just not on the scale that can be accomplished at McKinley. As a final step, Shimon said the test fleet will also undergo winter evaluations in December and January at Ford’s cold-weather centre in Thompson, Manitoba. Parrish said customers using diesel-powered trucks in extreme climates such as northern Canada, for example, never shut those trucks down from October till April because of the cold temperatures. “These trucks are being used in the oil sands and they’re running 24-7 for six or seven months at a time. We need to know these engines won’t fail them,” he said. Parrish said at least one of the four trucks in the chamber was started when the team arrived and would be left running until the session wrapped up after three weeks.